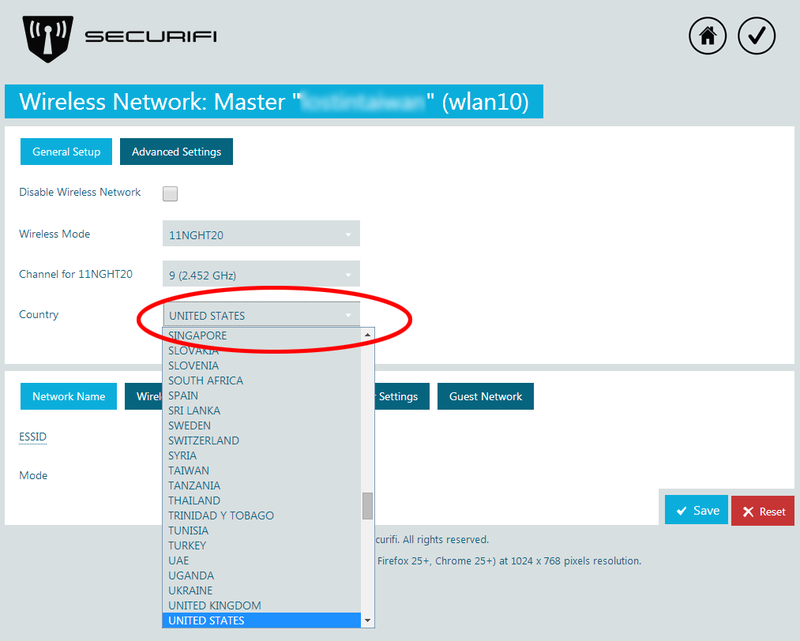 To change the Wi-Fi region of your Almond+ you have to access the web UI of your Almond+ by going to its IP address. You can find the IP address of your Almond+ by going to Status, Web Access in the LCD UI. You'll also find the username and password here. Once logged in to the web UI, you'll see the below screen. 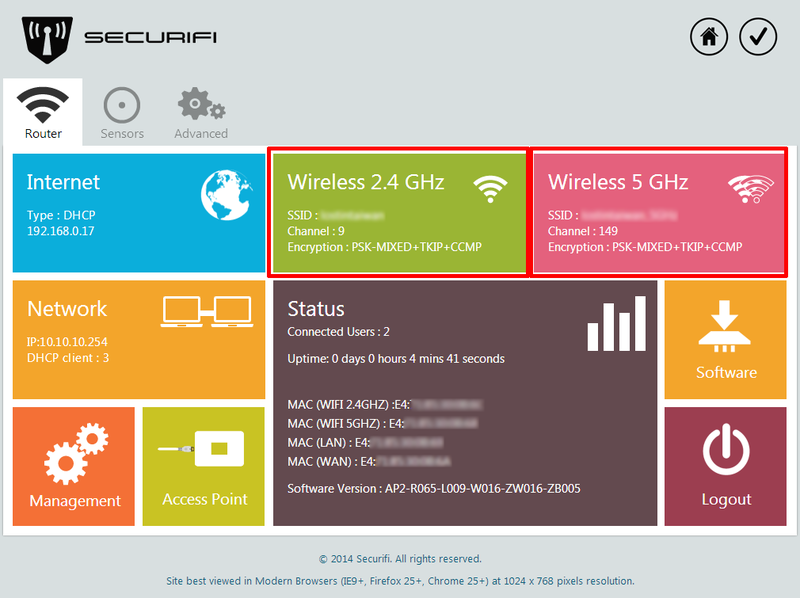 Click on either of the highlighted sections to access either the 2.4GHz or 5GHz settings. 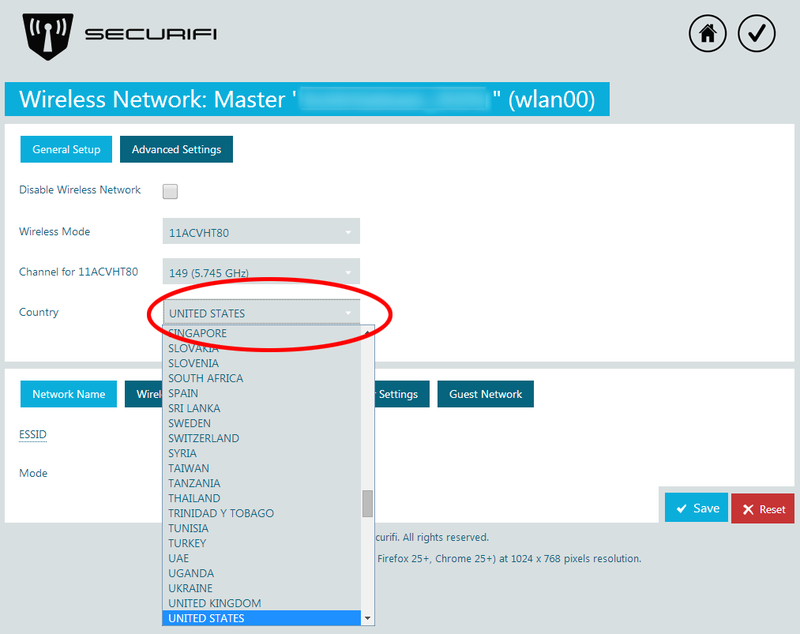 To select your country in the 2.4GHz or 5GHz settings screen, simply select from the drop down menu and click on the correct country that you reside in. Now click on Save to apply the settings. Note that your Almond+ has to reboot to apply the settings, so if you're changing the country for both the 2.4GHz and 5GHz radios, you have to wait for your Almond+ to reboot in between. This page was last modified on 23 August 2014, at 10:58.